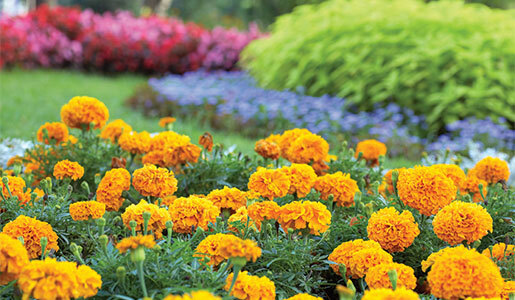 Planning your floral display with annuals is a good landscape investment because they’re so versatile, colorful, produce quick results and are relatively inexpensive. These dependable single-season flowers hit the ground running and provide a spectacular and easy show all season long. The choices in size, color and growth habit are vast. Some work well as edging plants. Others are best used in planters or window boxes. The majority are useful as bedding plants for mass effects. Because annuals live only one season, and they have no permanent roots from which to grow the next year, they perpetuate their kind through heavy seed production. To produce lots of seeds, they must produce many flowers. If those flowers are cut before the seeds can form, the plant tries again and again in an effort to make up the loss. The more you cut an annual, the more it blooms – it’s like having your cake and eating it too! Some popular annuals that you may want to consider for your landscape include impatiens, zinnia, marigold, petunia, nasturtium, alyssum, aster, morning glory, portulaca, snapdragon and sweet pea. With the right planning, good soil, plenty of water and room to flourish, an annual flower display on your property will be a sight to behold. 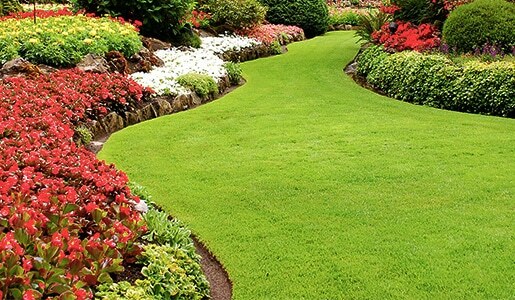 Keeping your lawn and landscaping properly watered is an ongoing task for every homeowner. During periods of extensive rain, this can be relatively easy. In the middle of a hot and dry drought, it can seem like a never-ending struggle. An installed irrigation system takes the hassle and guesswork out of watering your lawns by ensuring your turf and plants get the right amount of water at the right time. With buried water tubes in place and out of sight, you will not have to worry about dragging cumbersome garden hoses all over your yard, damaging flowers and dragging mulch all over the place in the process. With an automated irrigation system, there is no need to fit watering your lawn into your busy schedule. 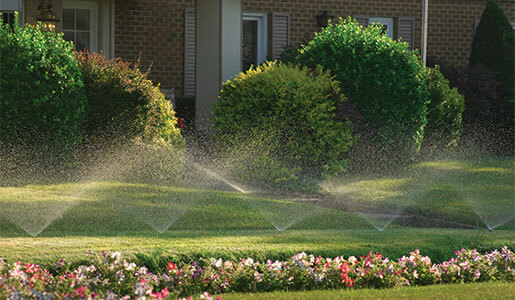 You simply set a schedule in the system and your lawn will receive regular and thorough irrigation. Some systems can even adjust the watering schedule based on the amount of rain that your lawn has recently received, making your watering not only easy but also efficient. Giving your lawn enough water at ideal times makes a big difference in terms of its immediate and long-term health. An installed irrigation system allows you to take your lawn’s watering needs off of your to-do list for good.